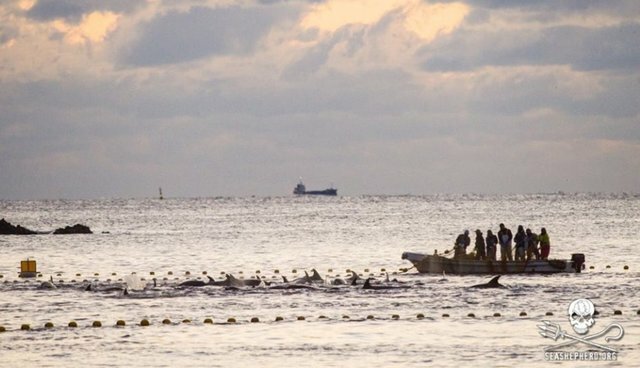 Anonymous, the international network of "hacktivists," officially launched a campaign against the Japanese city of Taiji, which runs the infamous dolphin hunt, claiming to have taken down the webpage for Wakayama Prefecture, where Taiji is located. The site was in fact inaccessible, and then appeared down. Minutes later, the site came back up, and the group claimed it was a warning. Anonymous threatened to attack several more of Japan's government websites in retribution for the dolphin hunt -- which had turned into a grisly slaughter just hours before the site went down. The group has also released video explaining #OpKillingBay, and announced via the Anonymous Twitter page that this is merely the beginning of a bigger campaign. This is not the first time Anonymous has acted on behalf of mistreated marine mammals. In December, the group also leaked the credit card information of several SeaWorld board members. Update: Anonymous confirmed The Dodo's report via Twitter. Dolphin roundups and slaughter -- brought powerfully to the public's imagination by he Oscar-winning documentary "The Cove" -- happen every year in Japan. You can visit Sea Shepherd's site to learn more about the problem. The organization has many ways you can help -- from volunteering to simply spreading the word on Facebook andTwitter. Sea Shepherd also encourages concerned citizens to call and write to the authorities in Taiji as well as the Japanese Embassy in your country, the U.S. Embassy to Japan, U.S. and Japanese Ambassadors to the UN and the U.S. Senate members of the Committee on Foreign Relations, among others -- all of their contact information is onthis page. Another group involved in the issue is Earth Island Institute's Save Japan Dolphins.